He also reads the Arabic-language works of lesser known theoreticians who have played an instrumental role in framing al-Qaeda's so-called "war of the oppressed." These authors readily cite the guerrilla strategies of Mao, Che Guevara, and the mastermind of the Vietnam War, General Giap. They also incorporate the arguments of American theorists writing on "fourth generation warfare." By examining these texts, readers experience events as insiders see them, and by concentrating on the activities and pronouncements of al-Qaeda's thought leaders, especially in Yemen, they discern the direct link between al-Qaeda's tactics and trends in anti-U.S. terrorism. 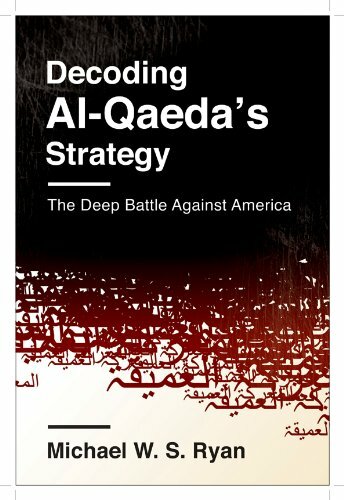 Ryan shows al-Qaeda's political-military strategy to be a revolutionary and largely secular departure from a classic Muslim conception of jihad, adding an invaluable dimension to the operational, psychological, and informational strategies already deployed by America's military in the region.